Towing companies get a bad rap. Generally, people dislike towers because we are contracted or called to remove vehicles from places where they do not belong. We get how frustrating that can be, but at the same time those who get into those situations where being towed becomes a possibility should be aware of that potential. At Wes’s Service Towing we do far more than tow your car. If you need roadside assistance with a flat tire, dying car battery, mechanical malfunction or any of a number of incidental and unforeseen problems that can occur with your driving, we are happy to help you with a solution to get you out of it, and help you get to where you need quickly. Wouldn’t you like to ensure you have the best possible towing service for your family or business at this crucial time? 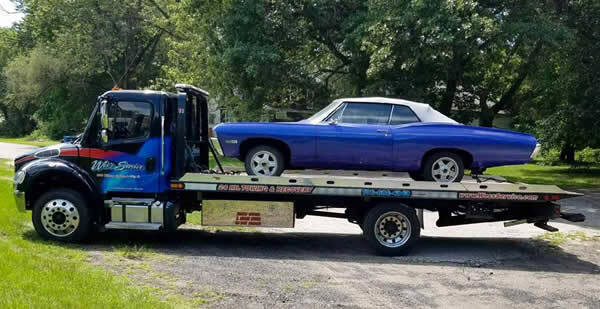 Wes’s Service Towing has been helping customers with roadside assistance in Chicagoland and the surrounding tri-state area for over 50 years – our reputation precedes us! Email us now by filling out the form below. Contact Wes’s Service Towing Now! Copyright © Wes's Service, Inc. All Rights Reserved.